Throughout the last week, OnePlus held daily flash sales for the One during which you could purchase the device for $50 less than usual. And today the Chinese startup has announced that it's making the price cut permanent. This apparently comes as a reaction to the great success that those flash sales had. So from now on the 16GB white OnePlus One will be sold for $249 (or €249 in the EU), while the 64GB black model is going to go for $299 (or €299). Its specs may not be top of the line today, but at this price it's clear that the One has become an even better buy than before. OnePlus says it's been able to cut production costs, which paired with lower component prices has enabled it to make the new pricing permanent. This is not all, though. 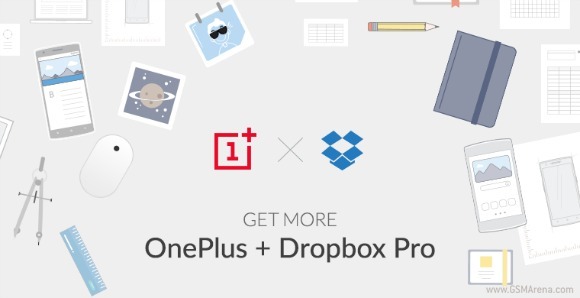 OnePlus has also unveiled a tie-up with Dropbox, through which you'll be able to buy a one year Dropbox Pro subscription as well as a 64GB OnePlus One, all for $349. Since the Pro tier is normally priced at $10 per month, this is a significant discount, as you're essentially paying $50 for the cloud storage on top of the phone's price. Dropbox Pro comes with 1TB of space. The OnePlus offer will become available on June 10 for a limited time in the US, EU, and Canada only.